Zion National Park motorhome camping, trail reviews and hiking help, overviews of difficulty levels. 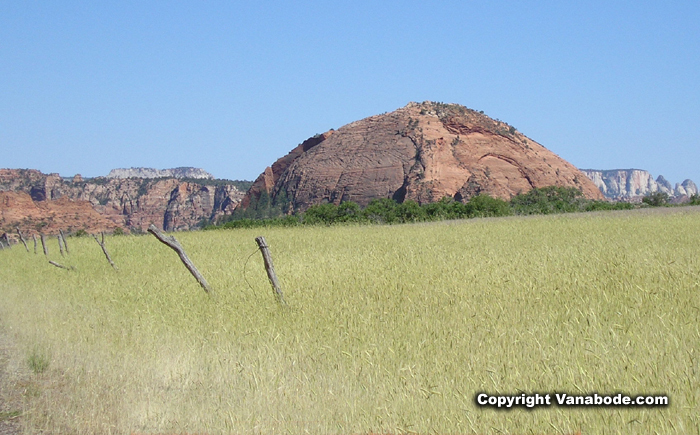 The scenery of Kolob Terrace Road is a fascinating change from the scenery of Zion Canyon. Kolob Terrace Road is off Highway 9 in the town of Virgin. The Kolob Terrace area is higher in elevation about 7000 feet compared to 4000 feet in the main canyon, therefore temperatures can be 10 to 20 degrees cooler. This side of the park is also greener than Zion Canyon. This area is considered to be primitive which offers a good escape from the crowds of Zion Canyon. The first thing we did was drive to the Kolob Reservoir. There are many ranches and houses the closer you get to the reservoir that sits at 8,118 feet above sea level. 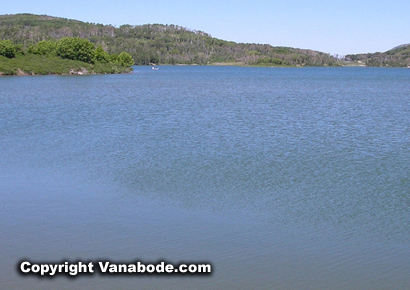 The Kolob Reservoir is stocked with three types of trout. There is an unpaved road that continues for many miles around the reservoir and through the upper Kolob Plateau. Camping is allowed around the reservoir. We spent more time getting to Lava Point Overlook than we did at the overlook. The gravel road makes for a slow drive but ends at 7,890 feet which is the highest summit in the Zion National Park except for two peaks in the northwest region. It offers nearly a 360° view. Shortly before Lava Point, a rougher gravel road leads to the West Rim trailhead. We hiked a total of 2 miles on the West Rim and Wildcat Canyon trails combined. It was very hot and sunny the whole time. Whether you are planning to hike part or all of either of the trails, the suggested 6:00 a.m. start time should be wisely considered. 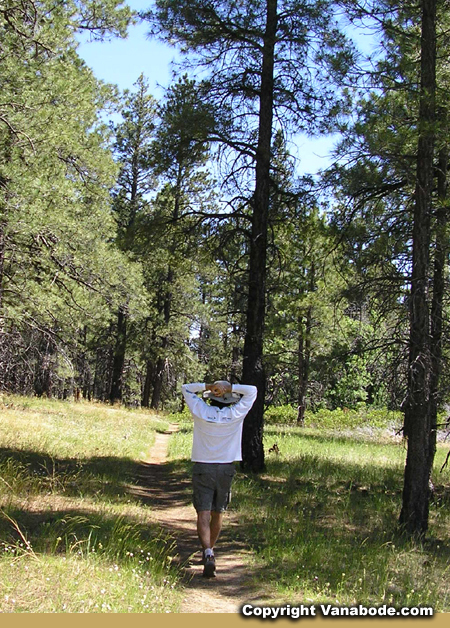 The Northgate Peaks trail is a family-friendly, short, easy, pleasant 4.2 miles round trip. It will take about 2 hours. 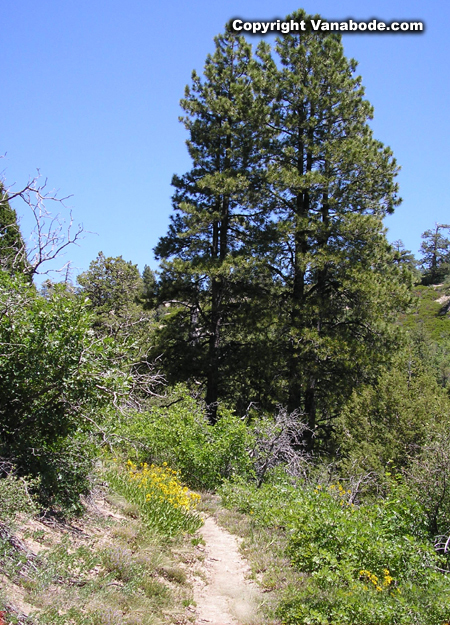 With only 100 feet of elevation gain it is a fairly level hike through alpine desert pines. The Northgate Peaks Trail leads to an interesting viewpoint in the Kolob Terrace section of Zion. This is the trail you take if you are headed for the "Subway". There is a sign at the split pointing to Northgate Peaks Trail and Wildcat Canyon Trail. Jason's thoughts - Great easy hike, lots of trees, cool view at the end, and a huge lake within 20 minutes drive for boating, kayaking, swimming, fishing. 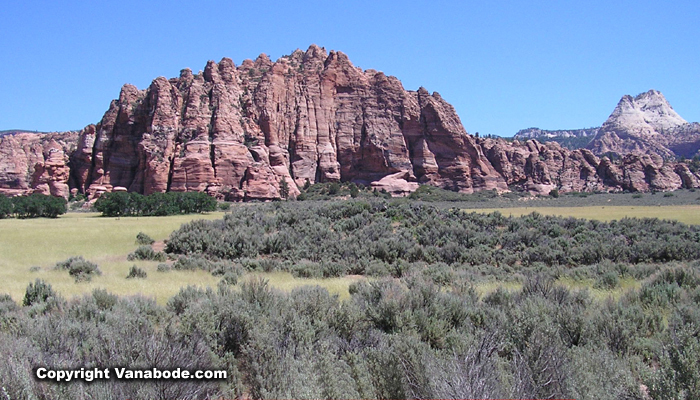 Kelly's thoughts - We had to take turns driving Kolob Terrace Road so we could both enjoy the scenery. The road to Lava Point is unpaved and very rocky and to me the view from the overlook was just alright. The road to the West Rim trailhead is also unpaved, rocky, and what felt like a 10% grade. The 2 miles round-trip of the West Rim Trail to Wildcat Canyon Trail that we hiked was not too fascinating, but then again when nobody else wants to be there the mood is already set. At some other time I would like to hike this trail in its entirety though. The hike to Northgate Peaks is very pleasant and also a terrific trail run. Ben's thoughts - Kolob Reservoir - It was cold. Lava Point was a nice view.